Customer service isn’t just a good idea. It’s the force that drives business. Loyalty isn’t a fad. It’s a relationship that needs be cultivated. Think about the purchasing decisions you make. Which brands or companies have earned your loyalty, and therefore more of your dollars? Your own habits should be enough to indicate there is something to be said for customer loyalty. You know from personal experience that being the cheapest or fastest option isn’t enough to earn your business and a great customer service experience is more than getting a thank you email. Your customers and clients know it too. So, here’s the question: What does your documented client retention and loyalty program include? If you’ve made big investments in marketing and advertising to get ‘em – how are you going to keep ‘em? I’m going to hit pause for just a second and draw your attention to the word documented. I am a huge fan of having documented systems and processes. After more than 20 years in business, I know documented systems and processes help you maintain consistency and deliver results. If your customer service touchpoints and action items aren’t documented you don’t have a plan, you have ideas. You need to turn those ideas into items you can execute on consistently if you want to grow your customer base and your bottom line. Just take a look at a few of the numbers I shared recently when talking about the importance of Customer Loyalty. 20% of your customer base is made up by your loyal customers. Those customers will end up driving 80% of your business. It will cost you five times more to acquire a new customer than to keep an existing customer. 95% of the people who have had a bad experience will never tell you. Those numbers underscore the importance of customer loyalty. Give customers every opportunity to become loyal clients by including these five things in your client retention plan. 5 Ways to Increase Customer Loyalty. Provide regular updates. Stay in communication with customers through newsletters, e-zines or email updates. Share important information, exciting news or resources they might find valuable. Commit to regular updates and stay in touch. Under promise and over deliver. Manage expectations by clearly communicating what your customers or clients can expect from you every step of the way. Then surprise them by over-delivering on those promises. For example, if you say you’ll have a contract to them by Friday surprise them by sending it over Thursday. Show appreciation. Handwritten notes, small gifts, or phone call just to say thank you can go a long way in showing customers how much they are valued and appreciated. Acknowledge special occasions. Birthdays, work anniversaries and business milestones are all special occasions that can be acknowledge and celebrated in small ways throughout the year. Remember what’s important to them. Make notes in their client profile of personal interests. Are they a dog lover? Football fan? Quilter? Make a note and use it to surprise and delight them through the year. Here’s one last thing to consider, you need to develop a process to create customer loyalty whether you have five customers or 5,000 customers. It doesn’t matter which stage of business you’re in, get started and let it grow and develop with you. Growing your business is easier when you’re not trying to grow it alone. 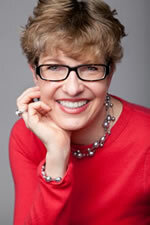 Want more great insight from Debbie Page? Join her seminar “Marketing Tips and Advice” at Biz Fair at 2:45 p.m. on Saturday, Sept. 29 at Renton Technical College. Small business owners ask us all the time. Should I get my business certified? What kind of certification is best? The quick answer is yes and all of them that you qualify for! Of course, the long answer has a few more details. First, let’s start with the foundation. To verify certain aspects of the business. Certifications can be important to show who owns the business, where products come from, or how the business functions. OMWBE certifies that a business is owned and controlled by a person or persons who are minorities, women, or socially and economically disadvantaged individuals. A business can get state or federal certification through OMWBE. Most people call these certifications by their acronyms (MBE, WBE, MWBE, CBE, SEDBE, DBE, ACDBE and SBE). To learn more about OMWBE certifications, click here. Should I apply for OMWBE certification for my business? We think so and with that in mind, we recently released two new short videos interviewing business owners on how they were certified, what they have used certification for and what being an OMWBE certified business means to them. Don’t miss a chance to be inspired by these heartwarming stories. How would I use OMWBE certification? There are three primary ways business owners use certifications. To be eligible to participate as a DBE, ACDBE or SBE on federally funded projects. This helps increase visibility and prime contractors can count certified businesses towards their goals on projects. For marketing and increased visibility to city, county and state government, colleges and private-sector companies that have supplier diversity goals. For example, the Governor’s Office has set aspirational goals and state agencies look for state certifications. To qualify for other small business assistance programs such as the Linked Deposit Loan Program. There are other reasons too. Business owners may get their businesses certified to show pride in their community or for local community recognition. We just released a short video showing how to complete an OMWBE online application. After you view the video, click to learn more and start your application. What is the difference between certification and self-identification? OMWBE certification means that how a business is owned and controlled has been verified by our state agency. OMWBE is the sole agency that does state and federal certifications in Washington State. Self-identification is when a business registers as a vendor in an online system and the owner checks a box to show that they are minority or woman owned. This may or may not be verified. So which one is better? It all depends on what your business does and whom you do business with. Some government agencies and prime contractors don’t or can’t recognize self-identification. Kathryn Akeah works in Communications for the Washington State Office of Minority & Women’s Business Enterprises. She is passionate about equity and excited that here she can combine her MBA with her experience in community health and community organizing to support diverse small businesses across the state. Stop by the OMWBE table to get more info on certifications during the resource fair from 10 a.m. to 1 p.m. in Building I. Flu season is coming up and it’s time for business owners to think about your most effective defense against a workplace flu outbreak – the yearly flu vaccination. How does the flu shot help protect your business? Vaccinating your staff reduces absenteeism and health care expenses. It’s estimated that the flu costs the U.S. over $87 billion annually and is responsible for the loss of close to 17 million workdays each flu season. According to the Center for Disease Control (CDC) tens of thousands of people are hospitalized and thousands die from flu-related illness each year in our country. When should you consider a vaccination? Before the onset of flu season, which usually begins at the end of October. If you vaccinate too early, the immunity may wear off or be too low. It takes about two weeks after vaccination for the immune system to fully respond with antibodies that protect against flu virus infection. If you or your employee is over 65, there are new flu vaccines available that are more effective than the standard dose flu vaccine for seniors in preventing hospitalizations Be sure to ask your provider about these “senior” flu vaccines. Nasal flu vaccine (FluMist) will be available for persons age 2 to 49 years of age. Avoid close contact with people who are sick and if you are sick, keep your distance from others. Stay home when sick (especially if you have fevers or chills) to avoid spreading your illness to others. Cover your cough or sneeze with a tissue and promptly dispose of the tissue. If a tissue isn’t available, cough or sneeze into your upper sleeve, not your hands. Clean your hands frequently with soap and water. If you don’t have access to water, use an alcohol-based hand rub (at least 60% alcohol). Avoid touching your eyes, nose or mouth so you don’t contaminate yourself with flu germs. Don’t fall victim to bad information! 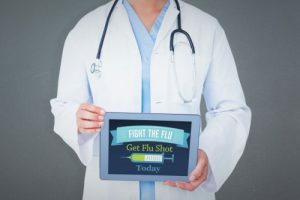 Unfortunately, we hear people say, “I’m not getting the flu shot because it will give me the flu!” It’s medically impossible for someone to get the flu from the flu shot because the flu shot is developed from a dead virus. A dead virus can’t give you the flu. So why does this belief persist? Because some people will experience flu or a flu-like episode after getting their shot, but it’s not due to the shot itself. 1) A reaction to the flu shot. Less than 1% of people who get the flu vaccine experience flu-like symptoms such as mild fever and muscle aches. While these are side effects, people wrongly attribute these side effects to actually getting the flu. 2) You’re already infected. Once you get your flu shot, it takes about 1-2 weeks for proactive immunity to develop in your body. Unfortunately, some people will get their flu shot late in the flu season (December or later) and are already infected when they get their shot. When they get sick, they will blame their illness on the flu shot, and not realize that they were going to get sick anyway. 3) Your sick, but not with the flu. Many people will attribute any sickness to “the flu,” when in reality, they have another viral illness. The flu shot doesn’t protect against all viral illnesses, just certain influenza viruses. 4) The flu shot isn’t 100% effective. You can still get the flu, even if you get your flu shot because the flu vaccine isn’t effective 100% of the time. This is especially true in older persons. Start with your health care provider. Or, you can use this handy tool to find your closest flu vaccine provider. For more information on this topic, check out this handy reference from the CDC, Flu Vaccine Effectiveness: Questions and Answers for Health Professionals. We would like to express our gratitude to Drs. Dianna Chamblin and Yuan-Po Tu who took time out of their busy schedules to serve as guest authors. Dr. Chamblin practices occupational medicine at The Everett Clinic and serves as The Everett Clinic’s medical director for the Centers of Occupational Health & Education (COHE). Dr. Tu practices urgent care medicine at The Everett Clinic and also specializes in flu prevention. “Proving” your business model to investors relies on being able to back up your assumptions about your market. 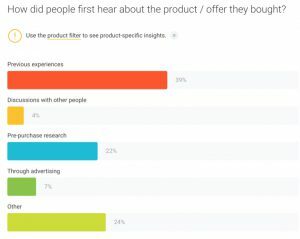 Data about how people search or discover products brings you one step closer to making your case. 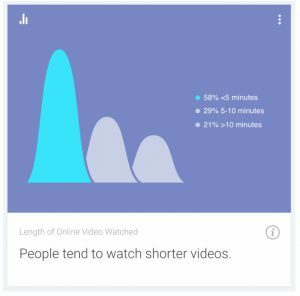 Now imagine if you could get that information easily, quickly and at no cost — and create good looking charts and graphs to use in business plans, presentations and on social media. Going straight to a search engine for market research is like looking for a needle in a haystack. Imagine you’re creating a new line of products for pets, a highly competitive industry. A search for “pet products” yielded 3.5 billion results (yes, that’s a “b”). Google makes it so much easier with a range of tools designed to mine their own mega-pile of information to understand what people are doing online. What better way for you to learn about your potential customers, than to go right to the place so many people start their buyer journey? PEWInternet is one of my go-to’s for robust and free market research for learning about online behavior, with a section devoted to “Internet and Technology.” Combined with Google’s Consumer Barometer, you’ll get an even clearer picture about how people use the Internet to discover and purchase products and services. 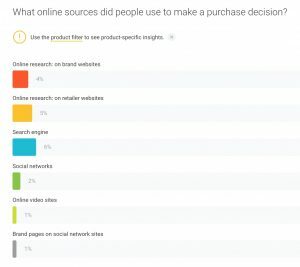 Consumer Barometer includes Trended Data, Audience Stories, Curated Insights and Graph Builder — saving the best for last. Trended Data compares Internet usage over time. While there are differences as of 2017, it becomes pretty clear that everything is pointing in a mobile direction with smartphone and Internet usage becoming ubiquitous across age groups very soon, if it hasn’t already. This is useful, whether you’re creating a mobile app or wondering how important mobile access is to your marketing strategy. With Audience Stories, Google segments Internet usage, exploring audience clusters like Brand Advocates, Digital Moms and Millennials. For example, Google tells us the “how-to” video category is trending strongly. 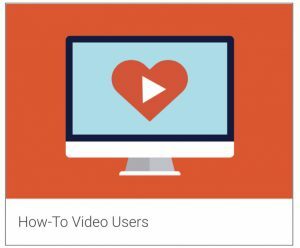 “1 in 10 internet users watch DIY or How-to videos in a typical session.” They go on to explain that, “23% of online videos are viewed in order to learn something new.” This means that educating customers and demonstrating your expertise can help you gain exposure, ultimately being a way to drive more traffic to your website. Of course Google is in a great position to know what works and what doesn’t, since they own YouTube. From there, you can investigate by a particular product category. You’d want to, because not every business is the same, and you’ll want data specific to your industry. Granted, the categories are pretty general, but selecting something even close can provide direction. Unfortunately, it’s not particularly useful for my “pet products” example, since there’s no category for it — weird, not to offer information about such a huge industry. Oh well, even Google isn’t perfect. Stay tuned — their tools are always changing. Another drawback is that product filters vary by the question being answered. It would be nice if you could choose your product category first, then apply the questions to it. Now, let’s say you’re thinking of offering a discount to encourage people to make a purchase. 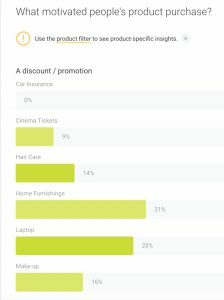 Here’s a relative comparison of how a discount influences a purchase by category. Go to: Smart Shopper>Research Behavior>Motivation for Purchase. Filter by product, as described previously. Then, you’ll need to hide all the other motivations to create this graph. Unfortunately, there’s no information about services or B2B “business to business.” However, the tool allows you can compare filtered segments in one chart by selecting more than one at a time. This is just a taste of what you can do with Graph Builder. Once you’ve created the charts you want, you can export as a CSV or png, or share, by selecting the 3 vertical dots in the upper right corner of the graphic. That sharing option may be especially useful for creating a post to a social network. No matter what product or service you plan to offer, the marketing of that product should be based on a good understanding of the industry and consumer behavior — and the Internet is a good place to start if you know where to look. These free market research tools are a good start, providing valuable insights you may not be able to find elsewhere. Plus, they can help you create and share some compelling graphics, whether that’s for a business plan, presentation or social media marketing. Visit our website to learn more market research shortcuts. 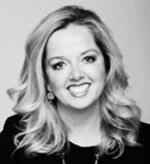 Robbin’s unique perspective and extensive experience has been put to good use solving her client’s stickiest marketing problems. Not to be missed, she’s presenting Slay the Social Media Dragon and Do It Yourself Websites at this year’s BizFair. The Brooklyn Bridge isn’t for sale, and the guy on the phone isn’t an IRS agent. While modern day scammers might not have a bridge to sell you, they certainly have other nefarious ways to part you from your money. Did you know that every year, people posing as IRS agents scam millions of dollars from Americans? Fortunately, the IRS has some helpful tips that can keep you from falling prey to a scam. Most IRS contact comes via regular mail through the U.S. Post Office. If it comes from another source, be suspicious! In addition, if the IRS has to take official action, they will first notify you via letter through the U.S. Postal Service. Threaten to bring in local police, immigration officers, or other law enforcement officers and have you arrested for not paying. If you get an “in-person” visit from an IRS agent, they will produce two forms of official identification; a pocket commission card and an HSPD-12 card. If they don’t have these or refuse to produce them, you can assume that they’re scammers! Tip #4 – Who gets the money? If your caller or visitor demands money and they want the payment to go some entity other than the U.S Treasury, don’t pay because it’s a scam. Tip #5 – Report them! If you get a call from someone posing as an IRS Agent, contact the Treasury Inspector General for Tax Administration. You can call 800-366-4484, or file an online complaint at IRS Impersonating Scam Reporting. Also, you can report a phone scam to the Federal Trade Commission (FTC). Be sure to add “IRS Telephone Scam” in the notes section. For more info, please see the IRS publication How to know it’s really the IRS calling or knocking on your door. One of the earliest recorded cases of insurance fraud comes from ancient Greece. In 300 B.C., a merchant named Hegestratos took out a large insurance policy on his ship. He reportedly planned on sinking his empty ship, selling its cargo, and pocketing the insurance money. Hegestratos’s passengers and crew caught him red-handed, and he drowned as he tried to escape (Investopedia.com). Aaron Hoffman works for the Department of Labor and Industries. Along with his duties as Contract Manager for the COHE Program, he regularly contributes to L&I’s social media campaign. He earned his BA and MBA from Pacific Lutheran University. Meet your local L&I representative and the entire Washington Small Business Liaison team at the “How Washington State Can Help Your Business” session at Biz Fair on Saturday, September 29 at Renton Technical College. More info at www.bizfair.org. Sally recently left her 9-5 corporate job, and enthusiastically began a new event planning business. Sally’s friend, Larry, wanted to be one of her first clients. Larry wanted to hire Sally’s business to plan his wife Judy’s 50th birthday party. Sally found an event planning contract on the internet, and tweaked some of the language. The contract set forth that Judy’s birthday party would be held at the Gigantic Golf Club, with cocktails and dinner for 100 guests. Larry would pay Sally’s business $5,000 for event planning services, to be paid no later than ten days after the party concluded. Sally is thrilled to work with her friend, and to plan her first big event. Sally is shocked when she receives Larry’s email. She reviewed the contract. The contract stated: “Larry is responsible for all costs related to the Event.” It also stated: “Upon conclusion of the Event, Sally will submit an invoice to Larry which will be due no later than ten days after the date of the Event.” The contract is silent as to whether Larry’s responsibility for the event’s costs meant that the costs will be paid up front by Larry, or whether Sally was required to initially incur the costs and then invoice Larry for those amounts. Sally doesn’t recall that they ever discussed this issue. Since Sally knew Larry personally, Sally wasn’t worried about getting paid and didn’t pay a lot of attention to the specifics of the contract. #1: Explain any pertinent background information regarding how your industry works, and also set forth your goals for the agreement. #2: Communicate your main concerns to your attorney about the proposed transaction (getting paid, receiving poor work quality, handling disputes, etc.). #3: Provide a written outline to your attorney identifying the parties and principal terms of the deal. #4: Think through how you’d like the contract negotiation process to proceed. Do you want to work through counsel exclusively? Or do the parties want to negotiate directly, and then go back to their attorneys with questions and revisions? #5: Discuss the timing of the work. #6: Understand the attorneys’ fees, and how you will be billed for the work performed. #7: Be mindful of attorneys’ fees while negotiating contract terms. Some issues may be so minor that it’s not worth the attorneys’ fees to argue about it. #1: Review the Contract Requirements Related to the Issue in Controversy: What does the contract say about the issue being disputed? Are you sure you are right and the other party is wrong? #2: Review the Contract Requirements Related to Dispute Resolution: The contract may tell you how you have to proceed in resolving the dispute. Mediation? Arbitration? Litigation? #3: Make an Initial Attempt to Calculate your Damages: Litigation is very expensive. In order to decide whether it’s worth it to pursue litigation, you need to know the monetary value of your loss. #4: Call Your Attorney: Let your lawyer know your preliminary thoughts based on your initial legwork, and then discuss the situation and your options. Stacey L. Romberg, Attorney at Law, focuses her practice on business law, estate planning and probate. 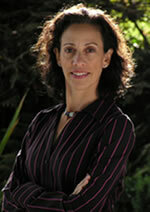 For more information, please visit the firm’s website at www.staceyromberg.com. “Yeah but I don’t want to be sales-y.” Brace yourself friends, I need to tell you something straight and it might sting. One of my great business colleagues says, “Sales is an act of love,” and if you are passionate about what you do and know that it provides great value to your ideal client then it is your obligation to follow up. Research shows that 80% of sales are made after the 5th follow up. How many times do you follow up? Once? Twice? You are losing money if you do not have a documented and repeatable system to follow up 5 times or more, with people who have expressed interest in your products/services. You also need to have more in your follow up than, “Are you ready to buy?” This is where the documented follow up system fits in. It’s totally appropriate to make your first follow up about checking in to see if the prospect has any questions or is ready to move ahead. The second time you follow up reference what they mention they need to attend to before they start working with you. The third time share something they might find valuable as it relates to their business, an article a blog post (written by you is fine or by someone else) or a tool that you think they or their clients might find useful. The fourth time, send them a handwritten note with a $5 coffee card inside and a note that says, “I know you have been working hard, take a break today – coffee is on me. Any of this seem sales-y? Not at all. Keeping yourself top of mind will keep you in line when your ideal customer is ready to invest with you. Create a documented sales follow up system and plan that you and everyone on your team follows EVERY time a prospect enters into conversation with you. Having a documented plan that is executed can increase your revenue by 50% or more. What would an additional 50% in revenue do for you and your business? Learn more marketing tips from Debbie at Biz Fair on September 30. Whether you are exploring a new business idea or are trying to grow an existing small business, your public library can be an important ally in helping you create a viable plan. The Seattle Public Library (SPL), King County Library System (KCLS), and Pierce County Library System (PCLS) offer access to an extensive selection of free resources for entrepreneurs at any stage. Library collections include up-to-date guides on starting a business, writing a business plan, marketing, business tech skills, and more – available in print or as eBooks. Look for: Safari Tech Books (SPL) for its vast collection of up-to-date tech and business eBooks that are always available. Attend free library workshops and events to get expert advice and ask your own questions on topics like marketing, operations, funding, opening a food business, and more. Meet representatives of local agencies at library-hosted open houses. Check your library’s calendar to find out what’s happening soon! Locating the best business resources for your needs and then learning how to use them can be time consuming and frustrating. Librarians are available to make this process a little less painful! All libraries can help in person, over the phone, and by email; Seattle Public Library also offers one-on-one business research appointments. Find The Seattle Public Library and Pierce County Library System at the Biz Fair to learn more! According to a U.S. Bank study, “roughly 82 percent of small businesses actually fail due to inefficient management of cash flow.” One of the catalysts for inefficient cash flow is outstanding invoices, which continues to be a major pain point for small businesses that try to remain financially healthy. Costs associated with late payments—such as interest costs or legal fees—must be avoided, and when domestic business turns into foreign business, collecting payment can be much harder, so we’ve identified some tips below to ensure your business gets paid going forward. It’s critical to set up an easy-to-use payment process system to allow your customers to receive automatic notifications, emails and alerts. For example, if a due date is coming soon, an email can be sent out automatically to the buyer or an alert can be sent to the exporter notifying them to call the buyer. Calling has served as a great customer service technique because it allows the exporter to establish a more personal relationship with the buyer. As you start to build a relationship with your foreign buyer, it may be wise to incentivize a customer to pay earlier than the due date by providing a small discount on the total invoice price. An exporter’s credit management process needs to be understood by everyone in the organization because there may be times when other internal departments play a part in collecting the payment. For example, an exporter’s sales group may communicate with the client more than the finance department, so being able to communicate, educate and enforce the payment process from all departments may help the exporter collect final payment. Make sure there is an efficient document management system when collecting invoices (especially the signed invoices) and other payment conditions/notices. Each invoice must clearly state terms and conditions, but before sending out an invoice, have a lawyer review the initial invoice template with stated terms and conditions (and if modifications need to be made, have it reviewed every time for consistency). Finding out information about a foreign buyer may be difficult, therefore, leveraging your relationship with the U.S. Department of Commerce local offices or your local trade association may help when doing your research on whether or not the potential foreing buyer is in financial good standing. Local credit bureaus or local Chambers of Commerce groups may also be avialable to provide information on foreign buyers and they also may have industry background data on payment tendencies (such as average days sales outstanding). Finally, visiting the foreign buyer in their home country may give an exporter a better idea of whom they are doing business with and helps to establish better relations. EXIM Bank offers export credit insurance, which helps the exporter mitigate the risk of foreign buyers not able to pay. With export credit insurance, EXIM Bank will cover up to 95 percent of the invoice and, in addition, will vet potential buyers to ensure they are in good financial standing. 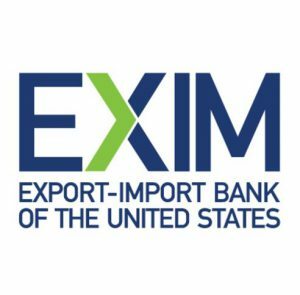 For more information on export credit insurance, click on this link to set up a free consultation with an EXIM Bank specialist in your local area! Join John Brislin from the Seattle Regional EXIM Bank at the “How to find customers outside the U.S.” seminar to learn more about how to get paid at Biz Fair on September 30.